After more than 20 years of construction and development, Dung Quat Economic Zone and Quang Ngai industrial parks have confirmed their nuclear role in Quang Ngai province’s growth and gradually become an urban, industrial and service centre of the Central Key Economic Zone and of the entire nation. 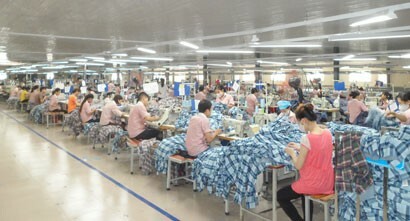 The great attraction from the deep seaport system, the land fund for industrial development, the better infrastructure system, preferential policies and an open investment environment convince not only domestic investors but also FDI companies to locate their investment projects in Dung Quat Economic Zone and Quang Ngai industrial parks. 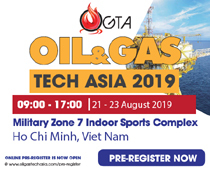 Big names which are operating effectively in Dung Quat Economic Zone and Quang Ngai province-based industrial parks, include Doosan Heavy Industries (Doosan Vina), VSIP Quang Ngai, Foster, shoemaker Rieker Vietnam, and Sumida Electronics Parts Manufacturing Factory. They have significantly contributed to the local socioeconomic development. After more than 11 years of development, Doosan Vina has to date earned about US$1.5 billion from exports. Its products are exported to 28 countries and territories all over the world, thus helping to position Quang Ngai in countries where Doosan Vina products are consumed. Particularly, the firm’s operations have resulted in a fundamental change in the province’s GDP structure where the share of industry is on the rise. Doosan Vina has also enabled the province to collect more tax and generate more jobs for local people. Besides, Doosan Vina cooperated with the Quang Ngai Provincial People’s Committee and the Dung Quat Economic Zone and Quang Ngai Industrial Parks Authority in investment attraction activities, especially when they target South Korean businesses. Typically, among investment promotion activities in 2017 bridged by Doosan Vina, the authority licensed six Korean companies with a combined investment capital of over US$11 million. Another high flier is VSIP Quang Ngai Industrial - Urban and Service Complex has been developed by Vietnam - Singapore Industrial Park Joint Venture Company (VSIP) since September 13, 2013. 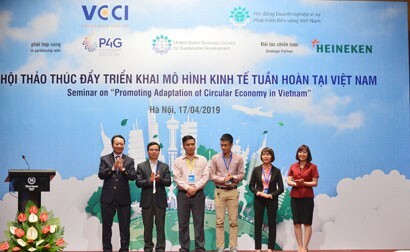 As the first VSIP project in central Vietnam and the fifth in Vietnam, VSIP Quang Ngai has contributed to boosting local socioeconomic development, creating an attractive investment environment and luring secondary investors, especially FDI investors to the province (e.g. KingMaker III Footwear Co., Ltd and Xingdadong Yarn Production Factory). 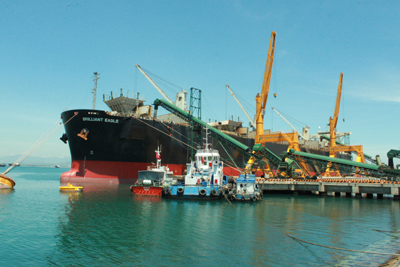 To date, VSIP Quang Ngai has attracted 17 projects with a total registered capital of US$383 million. In 2017 alone, it has drawn five projects with nearly US$155 million of investment capital and one project has added US$57 million to its investment base. 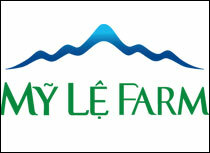 At present, eight projects in VSIP Quang Ngai have been put into operation and employed about 4,200 workers. 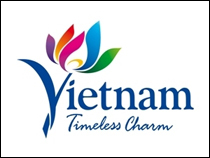 Mr Edmund Chong, Deputy General Director of VSIP Quang Ngai Co., Ltd, said, the success of VSIP Quang Ngai was partly resulted from the active support of the Quang Ngai Provincial People’s Committee and the Dung Quat Economic Zone and Quang Ngai Industrial Parks Authority. “In order to support VSIP and secondary investors, the Provincial People’s Committee set up a One-stop Single-window Office at VSIP, which directly receives and processes documents and procedures for investors. 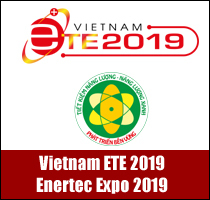 At the same time, the provincial government has actively cooperated with VSIP Quang Ngai to attract investors,” he said. In addition to these two projects, many other FDI enterprises, such as Foster Electronics, Rieker Vietnam Company and Sumida Electronic Parts Factory are operating very effectively in Quang Ngai industrial parks. Apart from investment incentive policies, Dung Quat Economic Zone and Quang Ngai industrial parks have their own advantages to become attractive destinations for investors. 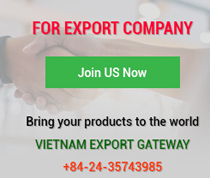 The deepwater seaport system is the first plus in the eyes of investors when they come to Dung Quat Economic Zone and Quang Ngai industrial parks because it is an important gateway for them to import and export goods domestically and internationally. Dung Quat I Seaport with a depth of about 14 metres is intended to serve heavy industries and general cargo, capble of accommodating ships of 50,000 - 100,000 DWT and building a specialised seaport system for Hoa Phat Dung Quat Steel Complex, where ships of 10,000 - 150,000 DWT can anchor. 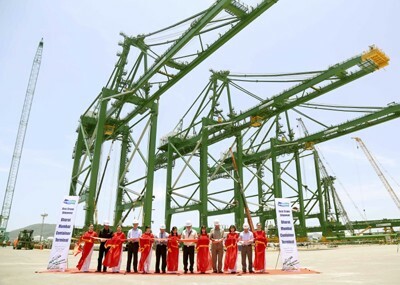 Container routes are expected to be opened to this terminal in 2018. The second plus of Dung Quat Economic Zone and Quang Ngai industrial parks is an abundant land fund for industrial development, an important factor to draw big projects. The third lies in the basic infrastructure system that meets the needs of domestic and foreign investors. To date, 120 km of roads has been constructed and put into use, including the trunk road in Van Tuong Township, Binh Long - Oil Refinery - Ky Ha Port Road and Doc Soi - Dung Quat Port Road. Furthermore, the transport infrastructure from Dung Quat Economic Zone to the Central Key Economic Zone is being built synchronously. In 2017, 65-km Da Nang - Tam Ky Expressway was put into operation while Tam Ky - Quang Ngai Route was expected to be completed in the second quarter of 2018. Chu Lai Airport has been expanded in the first phase to serve 0.8-1 million passengers a year. As for infrastructure development, the province has lured big infrastructure projects such as VSIP Quang Ngai and Dung Quat Residential - Industrial Park. These projects have helped create a clean land fund and synchronous infrastructure for tenants especially FDI projects. Mr Nguyen Minh Tai, Director of the Dung Quat Economic Zone and Quang Ngai Industrial Parks Authority, apart from clear comparative advantages of Dung Quat Economic Zone and Quang Ngai industrial parks, Quang Ngai province and the authority have constantly improved the investment environment and reformed administrative procedures to reduce the time required for handling investment procedures to lure more investors. Dung Quat Economic Zone and Quang Ngai province-based industrial parks attracted 43 FDI projects with a total registered investment capital of over US$1.37 billion as of December 2017. Only in 2017, they attracted more than US$385 million of foreign direct investment (FDI), including US$314 million from seven new projects, US$60.5 million from two existing projects which registered to add more to their capital base and US$11 million from blueprint projects. On May 12, 2017, the Chairman of Quang Ngai Provincial People's Committee signed Decision 344/QD-UBND issuing the Investment Promotion Programme for the 2017 - 2020 period with the objective of attracting US$2.5 - 3.5 billion of domestic and foreign investment capital into Dung Quat Economic Zone and Quang Ngai industrial parks to build a stepping stone for Quang Ngai to become a modern industrialised province by 2020. By tapping advantages such as the infrastructure system, deepwater seaports, airport and expressways, in the coming time, the Dung Quat Economic Zone and Quang Ngai Industrial Parks Authority will further enhance its capacity of attracting investment capital by accelerating administrative procedure reform; promptly addressing issues arising from project deployment; and creating positive and disruptive changes in carrying out political tasks of the authority; and reviewing plans to have appropriate adjustments for best performance. In addition, the authority will focus on supporting investors to implement their large projects (upgrading and expanding Dung Quat Refinery and Hoa Phat Dung Quat Iron and Steel Complex) to attract supporting investors for these projects; further assist industrial infrastructure companies such as VSIP Quang Ngai and Hoang Thinh Dat to draw investment capital, especially FDI and closely coordinate with ministries, central agencies and two investors (EVN Group and Sembcorp Group) to invest in gas-fuelled Dung Quat Power Plant. In investment promotion activities, the authority will target at sectors that Dung Quat Economic Zone and Quang Ngai industrial parks have comparative advantages, particularly those using seaports, heavy industries and industrial infrastructure projects. It will give priority to attracting infrastructure investment projects in order to mobilise resources, create land fund and build synchronous infrastructure for investors, particularly foreign investors.